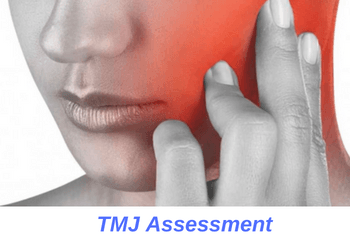 What is a TMJ assessment? How do I get started treating my TMJ disorder? People who grind their teeth aggressively or those with multiple missing teeth are particularly susceptible to developing TMJ problems. 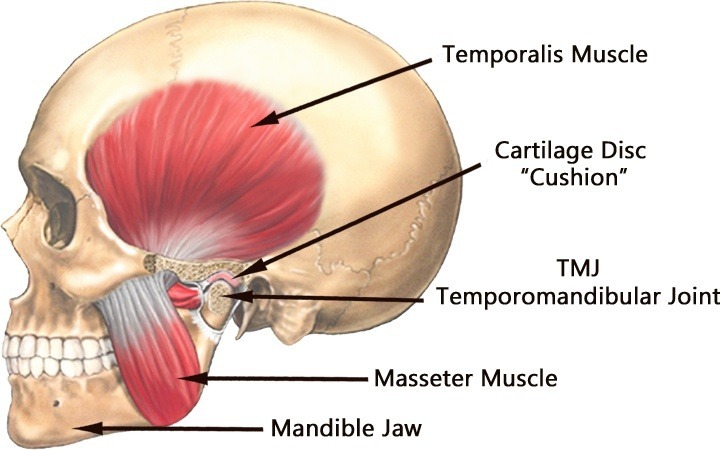 TMJ, short for temporomandibular joint, is the joint responsible for opening and closing your mouth. We have a left and a right TMJ which work together to allow us to move our jaws. Unfortunately, trauma or wear-and-tear can damage our temporomandibular joints over time. TMJ disorders can lead to migraine headaches, jaw stiffness and other head and neck related problems. People who grind their teeth aggressively or those with multiple missing teeth are particularly susceptible to developing TMJ disorders. TMJ problems can lead to migraine headaches and stiff head and neck. Your dentist will start your TMJ assessment by asking general questions related to TMJ pain and discomfort. This includes whether you are experiencing frequent headaches or have other facial pain or discomfort. Your dentist will perform a head and neck evaluation to access your TMJ. 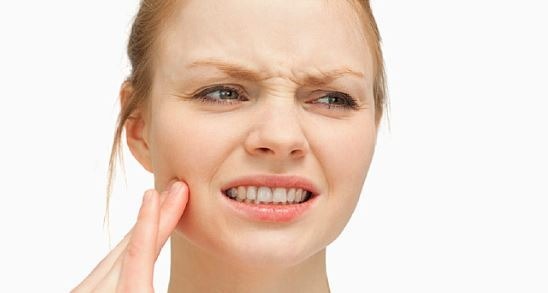 He or she will examine to see if there is any stiffness, tenderness or other signs of TMJ disorder. Next, your dentist will evaluate your TMJ by having you open, close and move your jaws side-to-side and in-and-out. Your dentist will observe for any pathway alteration, known as deviation or deflection, which could signal early stage TMJ disorder. Abnormal noises are also potential sign of TMJ disorder. TMJ noises, known as clicking, popping and crepitus, could all be early signs of disk derangement or arthritis. Drugs such as NSAIDs (Motrin), muscle relaxants and tricyclic antidepressants are helpful in treating minor TMJ abnormalities. Medication helps reduce inflammation of the TMJ joints which can reduce or eliminate the pain within these joints. For more advanced TMJ disorders, medication is directly injected into the joint area to help relive tension and stress. Joint exercises as well as heat/cold application can relieve the pressure in your jaw joints. Additionally, you can use counseling to identify and eliminate sources of destructive habits to better protect your TMJ. Most people suffering from TMJ disorders have to wear a custom nightguard to protect their joints from nighttime grinding. Wearing a nightguard helps relieve the pressure exerted onto your joints and protects them against destructive grinding habit. If your TMJ does not respond to the above treatment modalities, then a more aggressive approach may be required. This can range anywhere from using Botox joint injections all the way to arthoscopic surgery. When required, we will make appropriate referral to specialists so that you can get the best care possible. If you’re diagnosed with TMJ disease, we will offer appropriate treatment or make referral whenever necessary. If you suspect that you’re suffering from TMJ disorders, give us a call today. You can reach us at (949) 481-2540 or book your consultation online. We will assess your TMJ and look for signs and symptoms of joint pain or arthritis. If you’re diagnosed with TMJ disease, we will offer appropriate treatment or make referral whenever necessary. To learn more about TMJ conditions and disorders, give us a call today.